Spring Fashion Report: Diamonds! Diamonds! Diamonds! You are here: Home / Incoming Email / Spring Fashion Report: Diamonds! Diamonds! Diamonds! 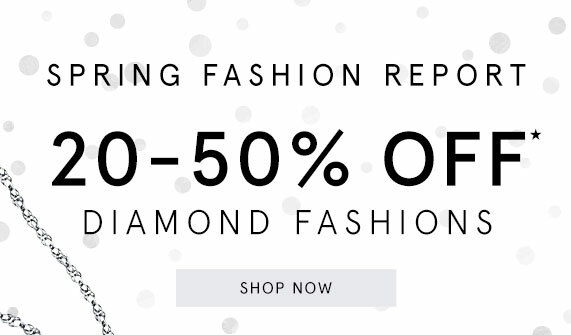 20-50% off all diamond fashion rings, bracelets, necklaces, and earrings. 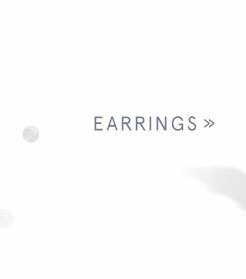 Excludes diamond solitaire jewelry. Offer valid through May 1, 2019, at 11:59pm ET. +Rewards will not be issued on purchases of gift cards. Rewards will be issued February 3 – May 1, 2019, and are redeemable May 2 – July 4, 2019, toward a 2nd purchase of merchandise in-store or on kay.com. Purchase price (after all discounts and excluding tax and shipping) must equal at least 3 times the amount of your Rewards redeemed. If only a portion of the certificate is used, the certificate will be voided/reduced in $100 increments based on the value of the item(s) being purchased, and that portion cannot be used again. Excludes smartwatches, clearance and retired items, previously owned merchandise, charity items, Guest Appreciation promotional items, loose diamonds and gift cards. Cannot be used with any other offer or coupon including storewide promotions, and may not be used with trade-ins. Validated certificate must be presented at time of redemption. Certificate has no cash value and cannot be used as payment on layaway or Kay Jewelers Credit Card account or the LONG LIVE LOVE Credit Card account, available at Kay Jewelers. In-store layaways and special orders must be picked up by July 4, 2019. Cannot be used on a previous purchase. On purchases where certificates are being redeemed, additional certificates will not be issued. Certificates will be voided/reduced in $100 increments based on the value of the item(s) being returned. If selecting ship-to-store at check out, Rewards will be issued upon pickup of your purchase.